Tonight our dinner was to be Grill cheese and soup. The grill cheese turned out just fine, but the soup not so much. 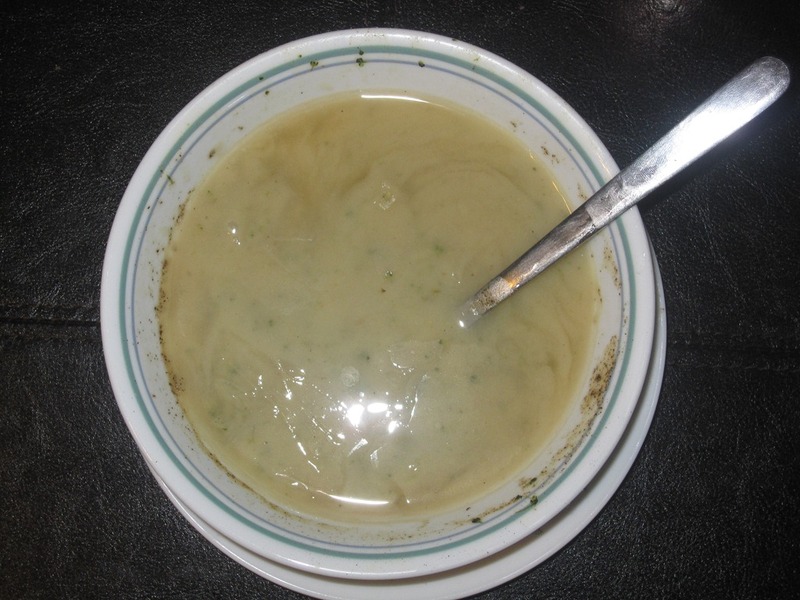 It was a Knorr Cream of Broccoli, usually a really nice soup. The problem tonight was that while cooking it I let it burn. So though it looked good it tasted bad. I should have just BBQed something, I’m much better at cooking over an open flame.